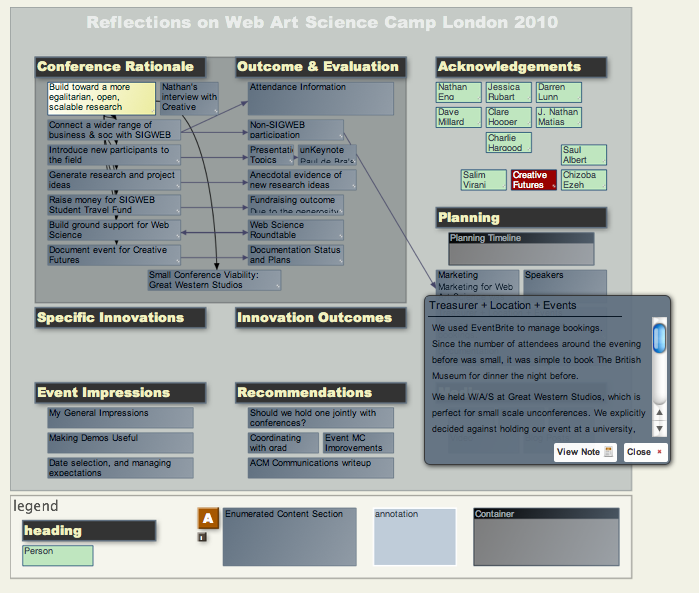 In 2010, I led the organising team for Web Art Science Camp. We brought together around 30 academics, gradstudents, artists, and business people from across the EU. We also raised over £400 for the ACM SIGWEB Student Travel Fund. As described in our conference retrospective document, we were significant to some degree in each of these goals.